Do you sometimes wish you could achieve that sun-kissed glow without having to go to the beach? That’s what bronzers are for! They’re designed to add warmth and dimension, plus give you a healthier looking complexion. They’re definitely among the must-have items in your makeup arsenal. Bronzers come in different forms and shades, so picking the right one might be a little difficult. That’s why we’ve prepared this guide and a few recommendations to help you on your journey to achieving healthy, sun-kissed skin. There might be some people who have tried bronzers before but have wondered why it just didn’t suit them. There are others who might just pass bronzers by at the store, not knowing how it could improve one’s complexion. This article, hopefully, will teach you how to choose the perfect bronzer. 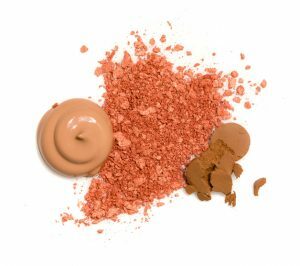 Just like any other makeup, bronzers come in different forms: powder, pearls, cream, and liquid. As much as we would like to choose based on preference, our skin probably won’t allow it to be that simple. You are the luckiest of the bunch. You’re basically allowed to choose from all of the above; it’s just a matter of how you would like to apply your bronzer. Of course, you should consider how well it will blend with your foundation. The Philippines is humid all year round, so there’s no way to escape the shine. That’s why you need a bronzer that’s not going to make that shine even worse. Stick to powder bronzers, which absorb oil and control shine. If you have acne-prone skin or have a tendency to get clogged pores, it’s best to go with tinted gel-based bronzers. These are less likely to clog your pores. Also, steer clear of pearly and shimmery bronzers, because they emphasize shine and uneven skin texture. If you have dry or mature skin, we recommend going with creamy, liquid-based bronzers with a satin finish. 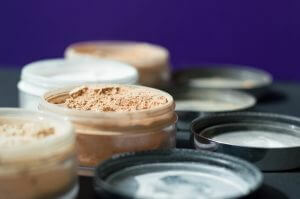 Powder bronzers, especially overly shimmery ones, can emphasize both dryness and wrinkles. This is because the shimmer tends to collect in the creases of the face. On the other hand, creamy bronzers impart a bit of moisture to your face. They also glide smoothly over wrinkles and leave your skin looking soft to the touch. After deciding what type of bronzer you need, the next step will be to choose the right shade. The general rule is to find a bronzer that’s 1 or 2 shades darker than your natural skin tone. When put on, it should look like a natural tan—just make sure you’re checking it under natural light. Having fair skin makes choosing a bronzer somewhat tricky. Choosing the wrong shade or applying too much will have us looking muddy or artificial. The safest option is to choose bronzers with a mosaic palette that offer dark and light shades for easy blending. Another option would be to choose bronzers with rosy, peachy-pink undertones or warm beige, pale, and honey shades. We recommend avoiding overly yellow or brown shades. Bronzers are great at enhancing medium skin tones. If you have medium skin tone, including a bronzer in your makeup arsenal will help you make the most out of your complexion. You can opt for amber or golden tones to add radiance to your look. For a natural look, go for sheer copper or earth-colored bronzers. Matte bronzers will work best for you. Since medium complexions naturally look tan, look for bronzers that will enhance the natural warmness of your complexion while subtly sculpting your face. To add some glow, try a bronzer with a slight shimmer or pair your matte bronzer with a highlighter. You might be thinking, “Will the bronzer even show up on my complexion?” The answer is yes, as long as you choose the right shade of course. To avoid looking ashy, steer clear of bronzers that contain milky-white pigments. Instead, look for rich chocolatey-brown or deep terra-cotta shades. For shimmer, look for bronzers with flecks of gold or copper. That must have been a lot to swallow, but once you understand more about your skin, the easier it will become to choose a bronzer or any other kind of makeup. To give you a little more help, we’ve also rounded up 10 of the best bronzers you can buy online in the Philippines. 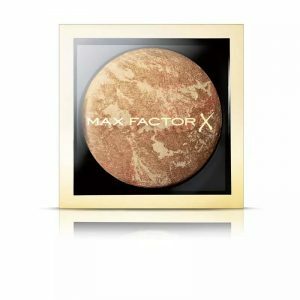 This product has both a blush and a bronzer in one palette, allowing you to give your cheeks a healthy flush of color and dimension. Plus, you can be sure that the shade of bronzer will complement your blush. It’s available in different shades which cater to different skin tones. The blush and the bronzer don’t have the best pigmentation, but thankfully they’re buildable, so it’s perfect for those who want more control over the intensity of their look. This product may seem too glittery, but it only shows a subtle shimmer on application. 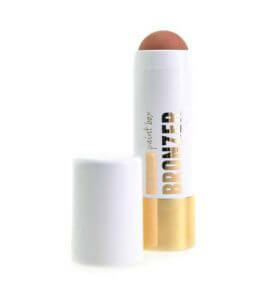 This shimmery bronzer comes in a jumbo stick design for a quick and easy application. It has a cream-to-powder finish that also blends easily, so it’s perfect for busy mornings. Its stick design also makes it handy to take anywhere. It’s very affordable too, at less than ₱150! 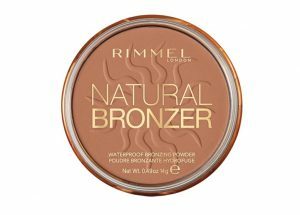 A great item for students who are on a budget and are looking for an inexpensive bronzer. One downside is that it contains a lot of glitter, so it’s not ideal for people with very oily skin. This product is a mini version, and its compact size makes it perfect for frequent travelers who wish to pack as light as possible. It also comes with a brush, so you won’t have any problem applying it on the go. It’s highly pigmented so you won’t need to use much product every time. It’s easy to blend and lasts all day. A lot of customers have raved about its cute design, so it might make for a great present! 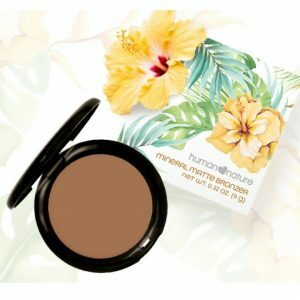 This product can be used as a bronzer and eyeshadow. 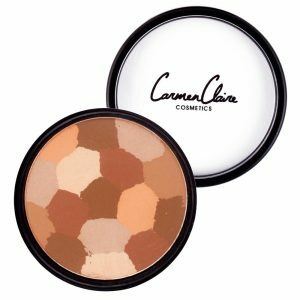 It has a mosaic palette composed of 5 shades, which you can use individually as eyeshadows or you can blend them together into a warm tan blend as a bronzer. It doesn’t come with a brush, so you’ll have to buy at least two brushes to use it as a bronzer and eyeshadow. In case you’re extra careful when it comes to ingredients, this product is talc- and paraben-free, which means it’s safe to use. 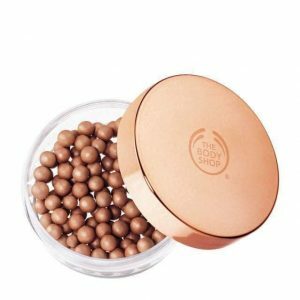 This product’s bronzing beads are made with light diffusing particles and pearl pigments to give you a healthy, radiant look. It’s also formulated with marula oil, which not only moisturizes your face but also gives you a luminous glow. This product is definitely on the shimmery side, so it might create too much shine for people with oily skin. This product will also be difficult to carry around as the beads do tend to get stuck on the brush, leaving quite a mess. 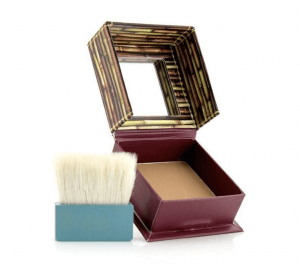 A little goes a long way with this highly rated matte bronzer. Highly pigmented and long-lasting, it’s sweat- and waterproof. This product is perfect for oily to combination skin as it will help control shine. It also comes in four different shades, which can suit different skin tones. Just make sure to go light on application, because no one wants to walk around looking artificially tan. The only downside is its packaging is flimsy, which means you can’t toss it in your bag. 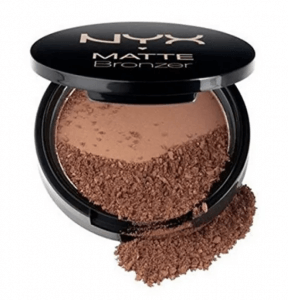 This pigmented matte bronzer can be used as a bronzer, an eyeshadow, or a contour powder. 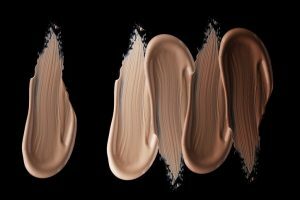 It has a buildable coverage and no orange undertones, but it might not show up on darker skin tones. It might be a little difficult to blend, but after a bit of practice and with the right brush, we’re sure you’ll love this bronzer. It lasts all day, so you won’t need to touch up. Its magnetic lock packaging may get slightly dirty after a while, but don’t worry, it’s safe to bring it on the go. This mineral baked bronzer is infused with gold glitter specks, which give you just the right amount of glow. Its consistency is in between a powder and a cream, so it’s easy to apply and blend. This product comes in two shades: bronze and light-gold. The bronze shade was made to give dimension and color to even fairest of complexions, while the light gold was made to give darker skin tones an even glow. 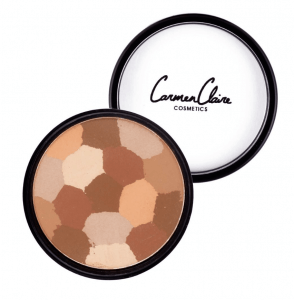 This highly pigmented bronzer will give you a natural sun-kissed glow all day with just one swipe. It also has a nice, delicate shimmer. 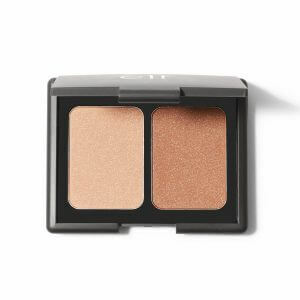 This product is also versatile as it can also be worn as an eyeshadow. 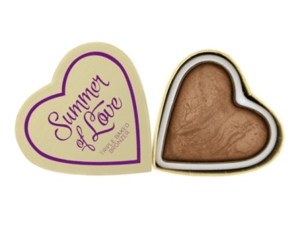 The cute heart packaging and the shape of the bronzer are loved by many of its users. It’s not just cute, it comes with a lot of product. You also won’t need to use a lot with every use, so expect it to last you a long time. This product is made from 100% natural and organic ingredients, which means it’s gentle and safe to use. People who have sensitive skin can be at ease. It does have good pigmentation, but it might not show on very dark skin tones. It can also last several hours because it contains “mattifying bamboo,” which keeps the oil and shine at bay. Although there’s only one shade available, it was formulated to suit Filipina skin, so it should have no problem matching Filipina skin tones. So what do you think? Are you ready to achieve a healthy, sun-kissed glow? We hope that by reading our guide, you’ve gained a better understanding of bronzers and how to choose one. Give bronzers a chance and it might just upgrade your look–or change your life!